A year ago the alternative club Club Colectiv here in Bucharest burned down. 64 young people died, and another 147 were injured. The reason was highly flammable decoration and non-existing emergency exits, due to a lack of official oversight in a partially corrupt nightlife industry. A girl I know was injured that night, and many people I know lost their friends. The unnecessary tragedy became a national trauma, affecting the lives of hundreds of families and groups of friends. It also led to large demonstrations, and a renewed claim to get rid of corruption in politics, both on a local and national level. Like many others, I was paralysed with shock and grief for days after the terrorist massacre in Norway 22 July 2011. 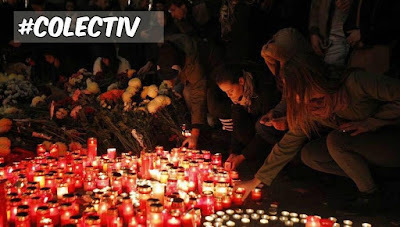 Yet the fire in #Colectiv hit me a lot harder - because it could have been me who was there that night, and because I know so many who lost loved ones. Rest in peace, you lost youth of Romania.